All signs are that Iran and Hizbullah are behind blast, on the 18th anniversary of the AMIA attack in Argentina that killed 85. Iran and Hizbullah appear to be behind the blast in Bulgaria Wednesday, which took place on the 18th anniversary of the AMIA attack in Argentina that killed 85. Voice of Israel Radio's military correspondent said that Hizbullah and Iran are indeed the main suspects, but did not make the connection to the meaningful date. The AMIA terror attack was also perpetrated by Iran and Hizbullah. "All signs point to Iran" as the perpetrator of the murderous terror attack in Burgas, Bulgaria, Prime Minister Binyamin Netanyahu said Wednesday evening. "Only in the last few months we have witnessed terror attacks in Thailand, India, Georgia, Cyprus and elsewhere," he said. Netanyahu noted that the attack took place on the 18th anniversary of the blast at the AMIA building in Buenos Aires that killed 85. "Iranian terror continues to strike at innocents. 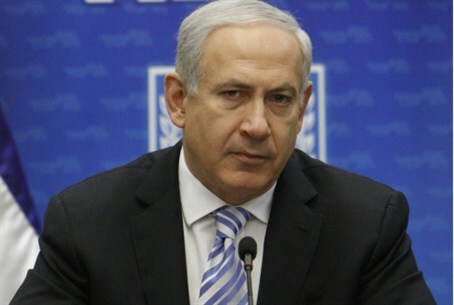 Israel will respond with force to the Iranian terror," he said. Deputy Foreign Minister Danny Ayalon told IDF Radio that Iran may be behind the attack. "We know what targets and tactics the Iranians use," he explained. "We are acquainted with the way they are arrayed and their wide infrastructure, and unfortunately we are also aware of their determination to carry out murderous attacks against Israeli targets." "Eighteen years ago today, in the morning hours of 18 July 1994, a murderous attack was carried out against the Jewish community center AMIA (Asociación Mutual Israelita Argentina) in Buenos Aires. It was the second attack against Jewish and Israeli targets on Argentinian soil – the attack on the Israeli embassy took place only two years previously. "Tragically, 85 people lost their lives in the AMIA attack, and hundreds more were injured. "The sorrow and grief caused by this attack is compounded by the fact that those responsible for this horrifying act, as for the one preceding it, have not yet been brought to justice. After years of investigation, the Argentinian magistrate concluded in 2007 that Iran was behind the attack and responsible for dispatching the murderers. "The government of Argentina appealed to Interpol to issue arrest warrants for a number of suspects, and this appeal was approved by the Interpol General Assembly. Israel condemns Iran for its responsibility for terrorist attacks around the world and for funding, instructing, training and arming terror organizations and for threatening to wipe Israel off the face of the earth. "At this difficult hour, the people and government of Israel identify with the bereaved families, with the Jewish community in Argentina and with all the people of Argentina. Concurrently, we would like to congratulate the Jewish community, which has managed to recover from the tragic event, to restore the community and maintain firm ties with the State of Israel. Furthermore, we endorse the Argentinian government's efforts to bring the perpetrators to justice."